We received our lovely new Dutch Oven this weekend, and couldn’t wait to test it out! After about an hour of cooking, our stew was ready, and it was delicious. 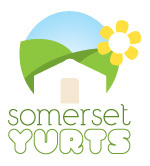 Can’t wait to try out more recipes, so we can share them with our yurt guests! Slowly build it up if you want a fire that keeps going for some time with larger ones – we didn’t in this example as just setting up for a quick stew. We browned off the sausages a bit before adding the other ingredients – but other than that it’s just a case of pop it all in and get on with something else. Make sure the fire is still going and enjoy yourself. A really simple one! We added some nice crusty bread and butter to go with it.